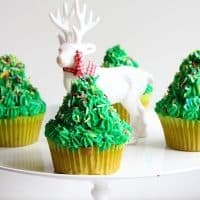 Christmas Tree Cupcakes are an easy Low Carb Recipe to make with your kids or a whole family. The taste and looks of them will inspire all. Updated from the original January 2017 version. Last updated November 2018. Those Christmas Tree Cupcakes Low Carb version, we have already made last year for the first time, where my daughter has made it all on her own and that was something, Watch her Video at the end of the post. 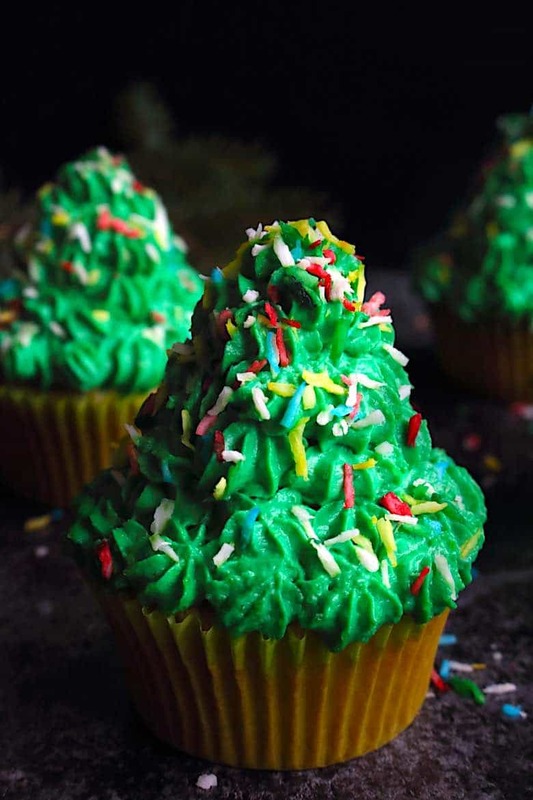 Are Christmas Tree Cupcakes easy to do? Now I have made sure you get everything you need for them. 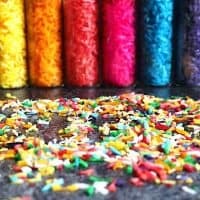 We have come up with Homemade Sugarfree Keto Sprinkles, which are just to die for. 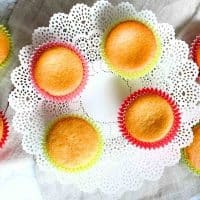 We have also made our most favorite Easy Keto Cupcakes, which you can use as a base. 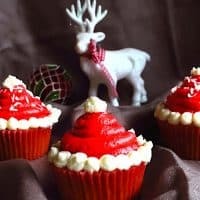 And as an addition to the upcoming Christmas, we had to add into the list with those perfect Keto Santa Hats Cupcakes. 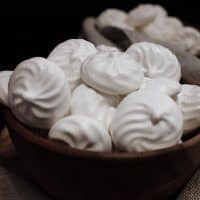 But you have to look at our Sugar-Free Meringue Cookies as well since we are here because of Christmas. 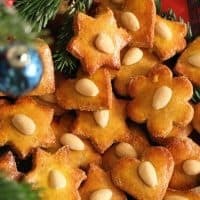 But if you are still looking for some more Christmas ideas, why not try our popular Low Carb Gingerbread Cookies, which are just outstanding. And since our whole website is to please our lovely kids, have a look at the 3D Cutouts I have purchased and made a lovely Christmas Village with them. Additionally, to that, we have made a lovely Homemade Cheese Dip, which has been transformed into another Christmas Tree as well as Pine Cones. And just because it is all about our kids, you would have to check our Sugar Free Gummy Bears Recipe, which is so extremely popular not only by the little ones. Every time I make them, I have to hide it not only from my husband but from me as well. Once I start eating them, I just can not stop. Tell me. What do you do during a beautiful cold winter day? Bake? The whole family is at home cuddling by a fireplace and you want to get them excited to do something fast, but not so difficult? Those lovely little Xmas trees are a perfect and easy idea. There are your kids running around, who need an instant attention and are always looking for some new and exciting entertainment. 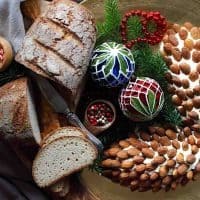 With this idea, the whole family will be together and every single one of you will be happy you are making something beneficial for your kids as well as additional baking for the Christmas season. This was really fun for us last year and Sophie enjoyed it fully. We have even made a YouTube Video about it. And actually that was the main reason, I have decided to make this post. At that time, I have just started with my blog and only made that video with my daughter putting it all together. So I had no proper instructions for the whole process. And the second reason was, that she really loved it and asked if we make them this year as well. What one would not do for their kids? 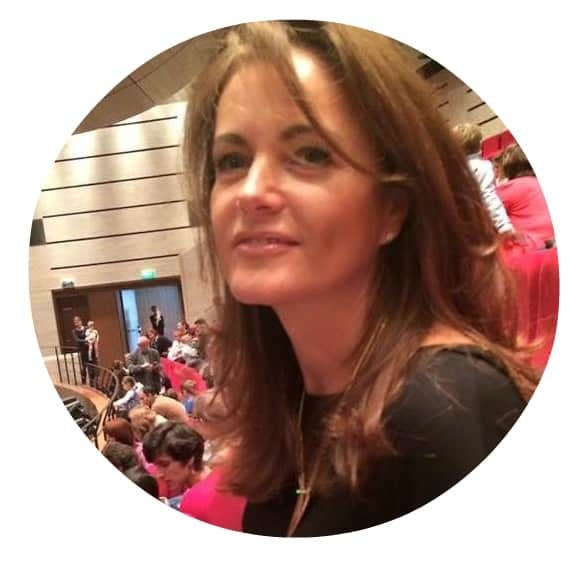 Therefore I have decided to make proper instructions, and use best of everything, to make sure all is Keto and Low Carb and Sugar-Free. As you can see on the Video, we have still used the little original Sprinkle decorations, which are actually in the box waiting for someone to pick up. In the middle of each Christmas Tree Cupcake, I have placed a Strawberry, which gives it a lovely surprise to anyone eating it. For small mini cupcakes, which we have made last year, I have used Raspberries, but in general, it really depends on you which berry you would choose. 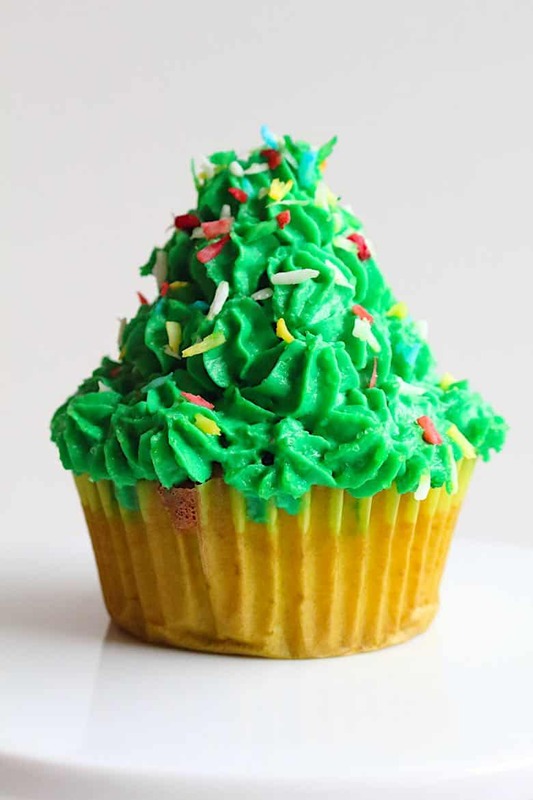 Whichever you place inside, it would give that extra little sour taste to the whole Christmas Tree Cupcake. Otherwise, because of the size, there would be just an extreme amount of Icing to consume. 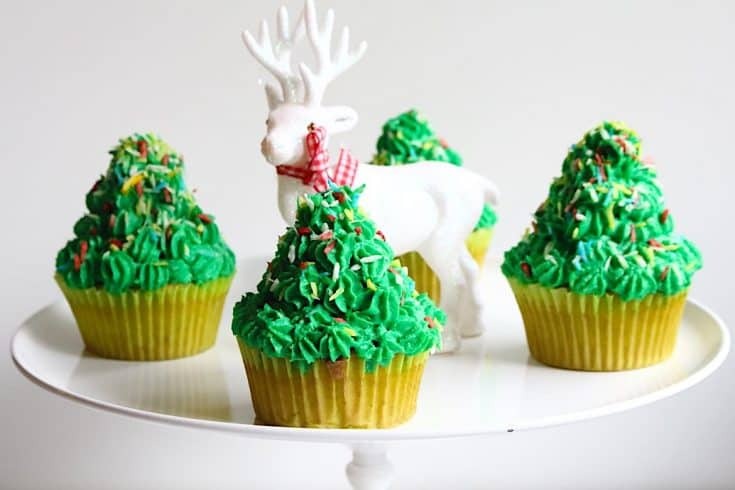 How to make or Ice Christmas Tree Cupcakes? Use the star shape one, which gives this beautiful tree looking touch to the end result. 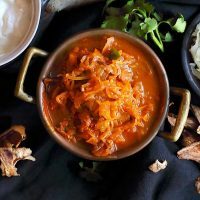 With this lovely Recipe, you will not only fill your weekend but much much more. You will have additional activities with your kids. You will bake for the whole family. And you will have the whole Christmas decoration behind you. 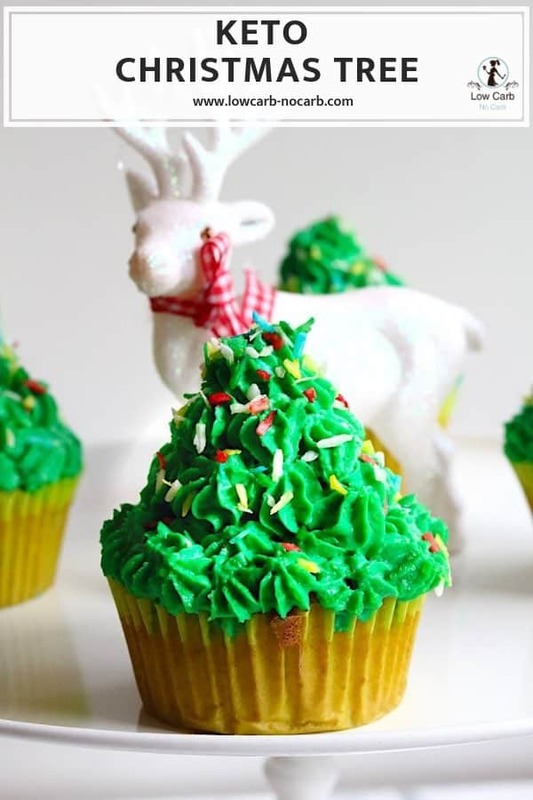 Once you make those lovely Christmas Tree Cupcakes, your whole house would be filled with beautiful colors and probably you would not need to decorate anything anymore. I was unable to see the recipe for Low Carb Cupcakes or the frosting. It is all in there now. Happy baking. These cupcakes are perfect for Christmas! So cute! I am happy you have enjoyed those lovely Christmas Trees. 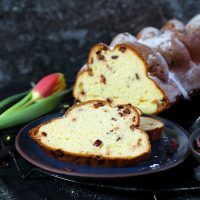 There is also a very similar recipe with Santas Hats perfect for Xmas. We have this year made already quite a few and they really brighten up the Xmas feelings.